[PDF] Investment Analysis and Portfolio Management , 10th Edition | Free eBooks Download - EBOOKEE! 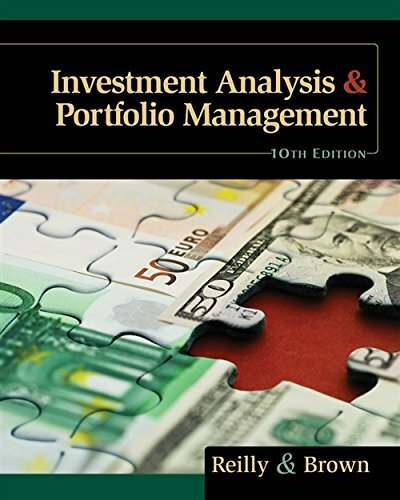 Description: INVESTMENT ANALYSIS AND PORTFOLIO MANAGEMENT, Tenth Edition, teaches readers how to manage their money to derive the maximum benefit from what they earn. From asset allocation to selecting investments in a global market, this book gives readers a solid foundation in personal finance and presents the same tools used extensively by professionals, organizations, and schools across the country. Filled with real-world illustrations and hands-on applications, this book takes a rigorous, empirical approach to modern topics such as investment instruments, capital markets, behavioral finance, international investing, globalization, the impact of the 2008 financial market crisis, and changes in rating agencies and government agencies such as Fannie Mae and Freddie Mac. Practical and up-to-date, the book is an excellent resource for those with both a theoretical and practical need for investment expertise. No comments for "[PDF] Investment Analysis and Portfolio Management , 10th Edition".